OYOToys Santa Claus Brewers minfigure has arrived! Your Santa minifigure is the perfect holiday minifigure for play during the jolly season! 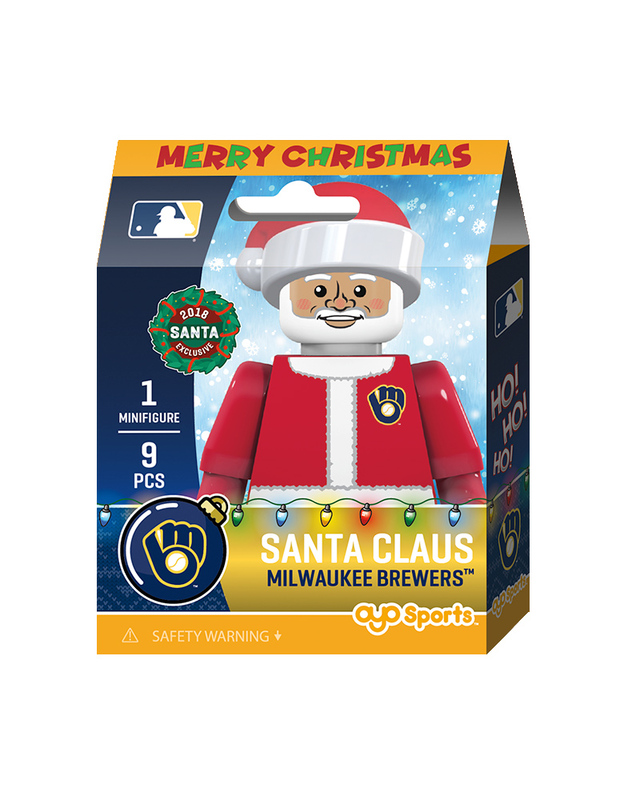 Your Santa minifigure can throw a touchdown, shoot a 3, drive his sleigh, feed his reindeer, come down the chimney and haul around all the presents, including the OYOs, for all the boys and girls! 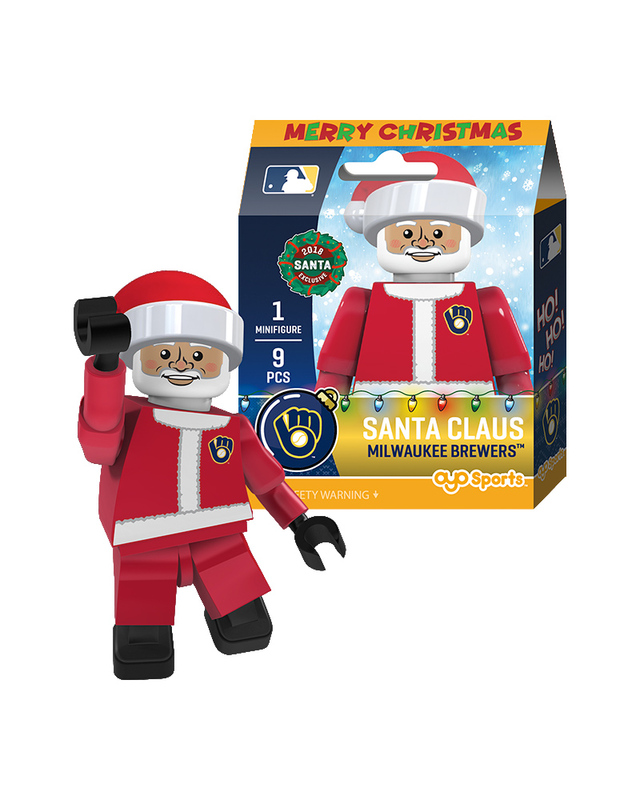 Your minifigure is created to look like Santa, wearing a Hat and Coat with your team's logo! Authentic Santa hat, coat, "gloves and boots"and a snowball. Poseable stand with uniquely printed school theme.